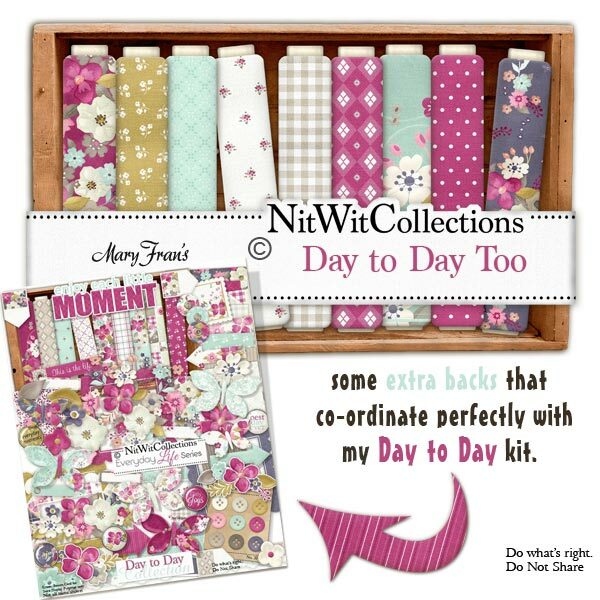 "Day to Day" Too digital paper pack adds more creative options for you when choosing what your layout or card will look like. The papers set the tone for the creation....don't you think?? These digital background papers are NOT included in the ELS "Day to Day" Collection, so please don't miss out! 18 Digital background papers that coordinate and colour match my ELS "Day to Day" Collection.